Welcome to Day 6 of the 10 day series–One Humongous List of Free Online Education Games. If you want to see the full list of subjects available in this series, I highly encourage you to check out the complete Humongous List of Free Online Education Games for links to online education games for nearly every subject. Today’s subject–Foreign Languages. For your browsing convenience, each game list is organized into categories and/or grade levels if available. Have fun learning and playing at the same time! **Did I leave something out? Feel free to let me know in the comments and I’ll be glad to add it to the links above for others! In order for online education games to be included in the above list they must be FREE, ONLINE, INTERACTIVE, and EDUCATIONAL. Thanks for your help in making this an even more HUMONGOUS resource for students. Looking for free online education games for another subject area? 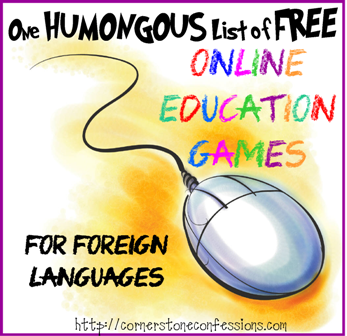 Check out the other posts in the One Humongous List of Free Online Education Games Series for a complete roundup. 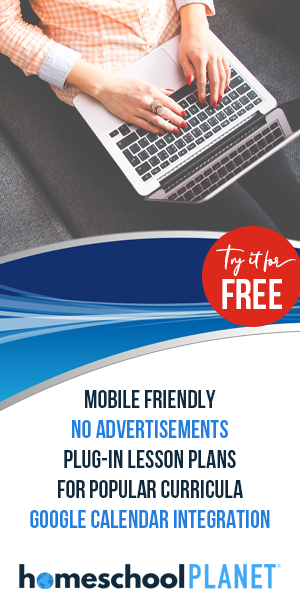 This 10-day Hopscotch is organized by iHomeschool Network, a collaboration of outstanding homeschool bloggers who connect with each other and with family-friendly companies in mutual beneficial projects. Visit us on Facebook,Pinterest, and Twitter. And of course, I hope you will also visit all the other Hopscotch articles from these homeschool moms of the iHomeschool Network.